What are earthquakes and what causes them? An earthquake is the brittle, sudden failure of the earth's crust or mantle. Earthquakes are caused by several factors however the common element is that stress builds in rocks until the yield strength of the rock is exceeded, at which point rupture occurs. The relative movement between the major tectonic plates is responsible for the stress build-up that causes the vast majority of earthquakes. To understand the earthquake process some simple physical quantities should be defined first. Stress is the force per unit area. Plastic deformation: Flow occurs in response to stress and material does not return to original shape after applied stress is removed. Just like a Play Dough which can be shaped as liked. Some rocks (rock salt or halite) and other evaporites flow when subjected to stress. How does elastic rocks break?. It can be best understood by the following example of a plywood. 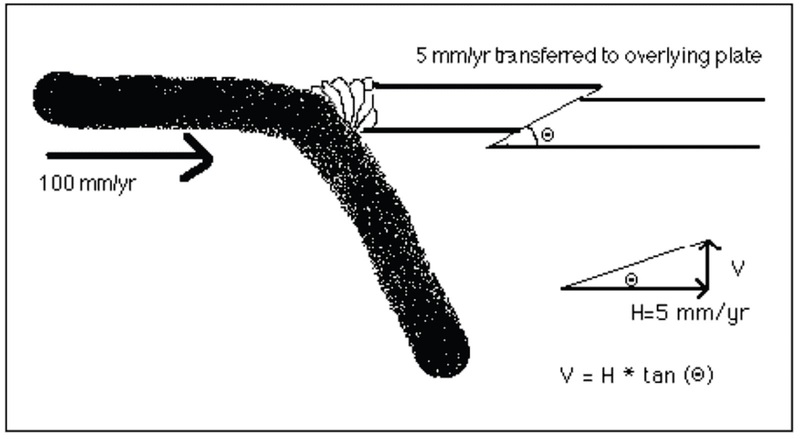 When the strip of plywood is subjected to a bending force, it deforms elastically at first. If the bending force is released, the wood returns to its original unbent shape. However, if the bending exceeds the yield strength of the weakest part of the wood, that part will rupture. Once the rupture occurs, we all hear the cracking noise - this represents the propagation of acoustic energy through the air due to the rupture. In other words, the rupture releases energy into the surrounding medium and this energy spreads away from the point of rupture. The farther that one is located from the point of the rupture, the softer the rupture noise is because that finite amount of energy released by the cracking wood is being spread over a larger volume as it moves away from the source. So how does earthquake occurs in the crust? In the earth's crust and in particular, within the fault zones that accommodate the motion between the rigid interiors of plates, the crust deforms elastically between earthquakes. The faults have geometric irregularities (bends) that prevent the crust on either side of the fault from slipping smoothly (creeping) in response to the steady state motion of the plates on either side of the fault. Because friction prevents steady state slip along a fault, rocks near the fault deform elastically in response to plate motion far from the fault. Once the amount of elastically stored energy exceeds the strength of the weakest area of rocks along a fault, that patch of the fault ruptures. At the point of rupture, rocks on either side of the fault slip to their new location and in the process, release lots of stored energy that propagates away from the point of rupture. A small rupture in one area of a fault can place a sudden strain on a nearby, more strongly locked section of the fault and cause that section of the fault to rupture, too. Thus, one earthquake can trigger another. Faults often have bends; the rocks on the fault face can have different frictional and elastic properties; fluids may lubricate the fault; and other nearby faults may change the local stresses. Once an earthquake has occurred along a section of a fault, much of the stress on those rocks is relieved. However, since steady state plate motion is still occurring, stress immediately begins to build again, leading to the earthquake cycle in which repeat earthquakes occur along sections of a fault. The frequency and strength of earthquakes along a given fault depends on how quickly the stress builds, how weakly or strongly the fault is locked in a particular region, and interactions with other nearby faults that are also responding to the stress build up. This makes it difficult to to model the earthquake cycle. To understand the propagation of seismic waves one can demonstrate it by throwing a stone into a pond. Well ripples on the pond carries energy away from the point of impact. Some of the energy is also carried down into the pond as sound, which we could hear if we were beneath water when the stone was thrown. In a similar fashion, during an earthquake rupture, two broad categories of seismic waves are generated. Surface waves, which carry seismic energy along the surface. S wave (secondary) is Shearing. Particles displaced perpendicular to direction of energy propagation. Surface waves, which cause the earth's surface to roll as they pass by are often responsible for the majority of earthquake damage. Surface wave amplitudes can reach several meters, meaning that during a large earthquake, one end of your house could be in the trough of a surface wave several meters beneath the other end of your house which could be surfing on the crest of a surface wave. Surface waves travel slowly often take several minutes or longer to travel tens of miles. Body waves arrive within seconds but aren't as likely to cause major shaking. Why are seismic waves useful? 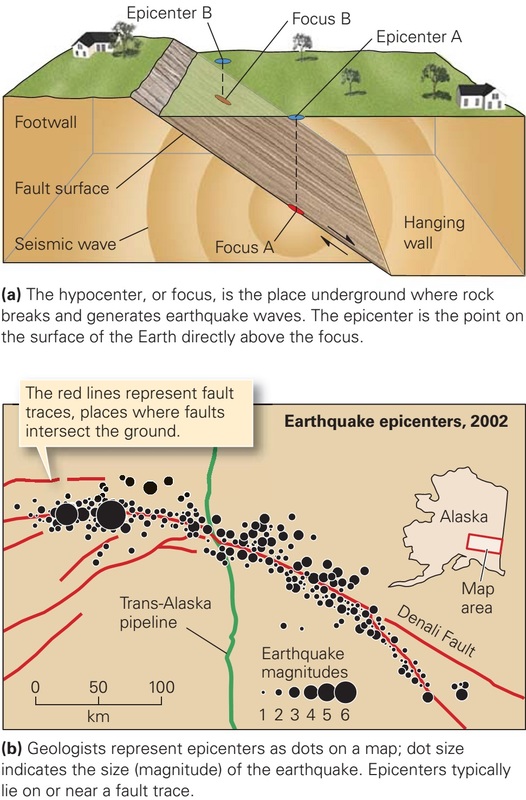 Seismic waves are useful for locating earthquakes, determining the amount of energy that was released, and determining what type of fault slip occurred. Seismologists routinely exploit this information using a global network of seismographs that continuously feed their readings into several analysis centres. Earthquake locations (epicentres) and magnitudes are typically available less than an hour after an earthquake. These three together describe the earthquake focal point, which is the point within the earth where an earthquake started to rupture a fault. The point on the earth's surface directly above the focus is called the epicentre. Magnitude: The magnitude of an earthquake measures the total amount of ground shaking produced near the epicentre. There are many scales to measure the magnitude of an earthquake but the most used one is Richter scale Richter magnitudes vary from 1 to about 9, with 1 being very small and 9 being enormous. In general, an increase of 1 point in the magnitude represents a 10X increase in the amount of ground motion and a 31X increase in the amount of energy release. Intensity: An alternative way to measure the size of an earthquake is by its effect on humans and surface features such as buildings. This technique has shortcomings because it depends on the often subjective observations of individuals. However, for earthquakes that occurred before regular instrumental recording made it possibly to routinely estimate earthquake magnitudes, estimates of intensity are the only way to locate epicentres and determine how large the earthquake was. Fault movement: direct breakage of structure built on fault trace. Ground Shaking: ground vibration caused by seismic waves travelling away from focus. Landslide: ground shaking can induce failure of weak slopes. Liquefaction: ground shaking of wet soil can induce creep of soil. Tsunami: disturbance of sea floor causing seismic sea wave. Fire: rupture of gas lines etc. Plate moves around the Earth's surface which exerts powerful lateral forces on rocks. The response of the crust to those forces gives rise to deformation on a large scale, particularly along plate boundaries. For example, dozens or hundreds of large-scale faults can form in zones of plate convergence, resulting in a broad and high mountain belt. 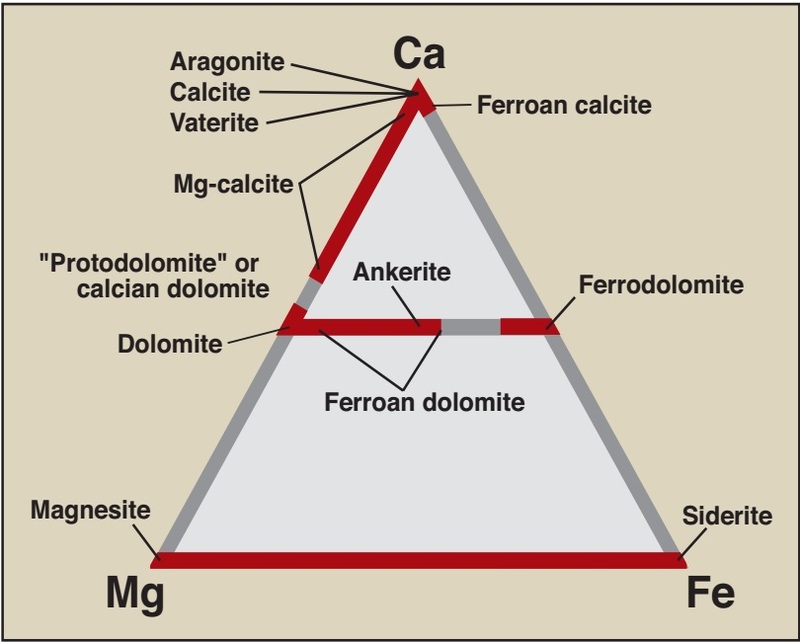 The geologic processes that can result in mountain building. Uplift of sediments accreted by subduction. "Corner" accretion/uplift due to along-trench rafting of terrain. Heating or cooling of lithosphere by the underlying mantle (and hence uplift or subsidence). Suppose an oceanic plate converges with a continental plate. 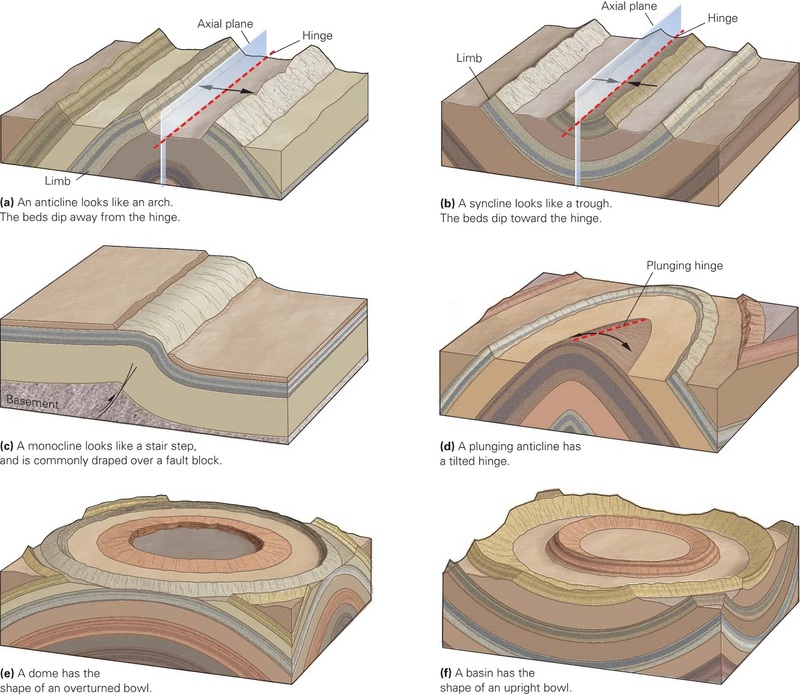 The oceanic plate, being more dense, subducts into the mantle. If all convergence (100%) is accommodated by subduction, the overlying continent will remain undeformed and should undergo no net uplift (although topography will undoubtedly develop as arc volcanoes appear). Suppose that not all convergence is accommodated by subduction and a few percent of the convergence instead causes the upper plate to shorten. How much uplift is implied? For 100 millimetres per year of convergence (a typical plate velocity), if 5% is accommodated by long-term shortening of the overlying plate, then the overlying plate will shorten at a rate of roughly 5 millimetres per year. Geometrically, the 5 mm/yr of horizontal shortening translates into vertical motion as shown above, with the only dependence being on the dip of the fault along which the continent is shortening. For low angle faults (10 degrees), uplift will occur at rates of about 1 mm/yr (1 kilometre per million years). 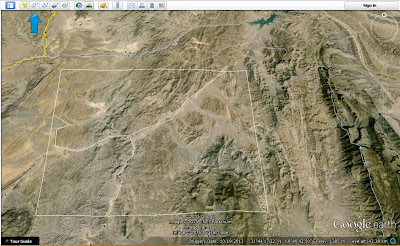 Over 5 million years, this amounts to uplift of 5 kilometres or 3 miles (15,900 feet). Over the same period, the two plates will have converged some 5 million years x 100 kilometres per million years or 500 km. The total uplift then is only a small percentage, 1%, of the total horizontal motion. Continent-continent collisions are not usually accompanied by subduction because both plates are too buoyant to be thrust deeply into the mantle. The amount of crustal thickening and uplift in such a collision can thus be much greater than for an ocean-continent collision. 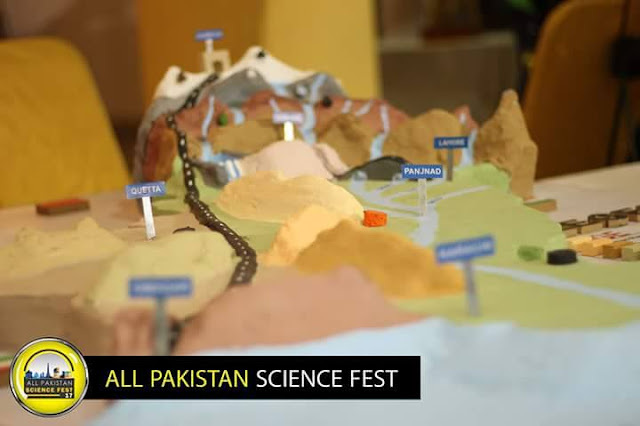 For example, over the past 40 million years, continental India has driven northward into continental Eurasia across the Himalayas mountain belt at a rate of about 40-50 millimetres per year. If you work it out, this implies that the two plates have somehow shortened by more than 1500 kilometres (about 900 miles) across the Himalayas. 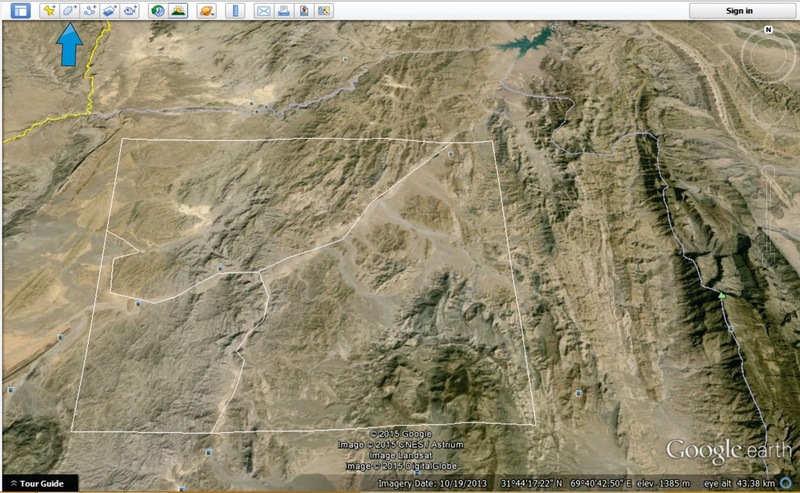 Since subduction is not occurring, the shortening has been accommodated by mountain building and lateral escape. Plate convergence of hundreds or even a thousand kilometres or more over millions of years might be accompanied by only several kilometres of uplift. This uplift, while spectacular to the eye, is merely a small part of the displacement "budget", which is largely dominated by horizontal motion. Many important aspects of mountain building are ignored and thus cannot predict total topography given total horizontal motion. Crustal uplift often coincides with subsidence through a process called isostatic adjustment. This is analogous to climbing into a boat, which sinks lower into the water once your weight is added to that of the boat. Your net height above the water surface is equal to your height on land minus the amount the boat sinks. Continents similarly sink into the underlying mantle when substantial topographic loads are added to their surface.